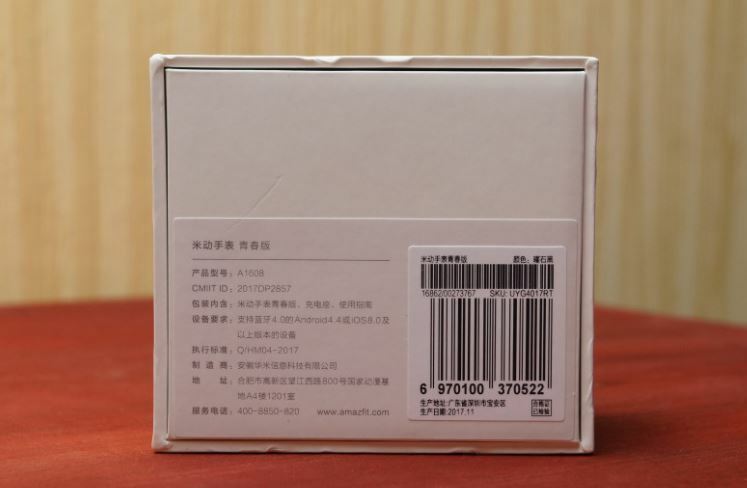 The watch is supplied in a white cardboard box. Its design is quite simple – there are no graphic illustrations to help determine the object inside. brand is Huami Co, which produces devices for Xiaomi. 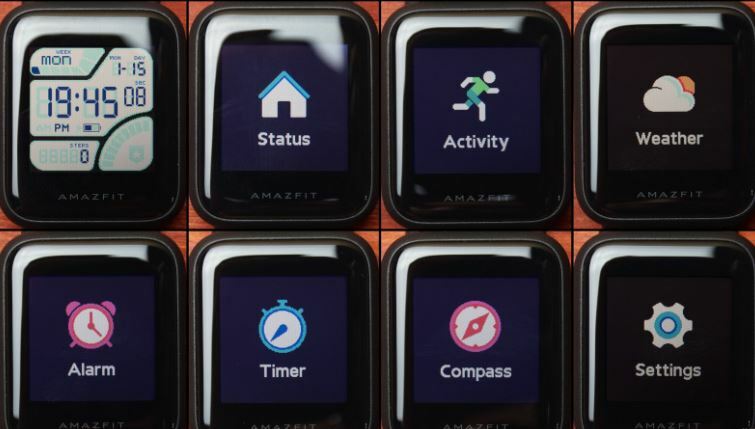 Here are a few gadgets released by this company: Mi Band 2, Amazfit Pace, Amazfit Arc, Amazfit Stratos and Amazfit Moon Beam. Mi Band is the most famous device, that created a furor in the market due to its cheapness and functionality. 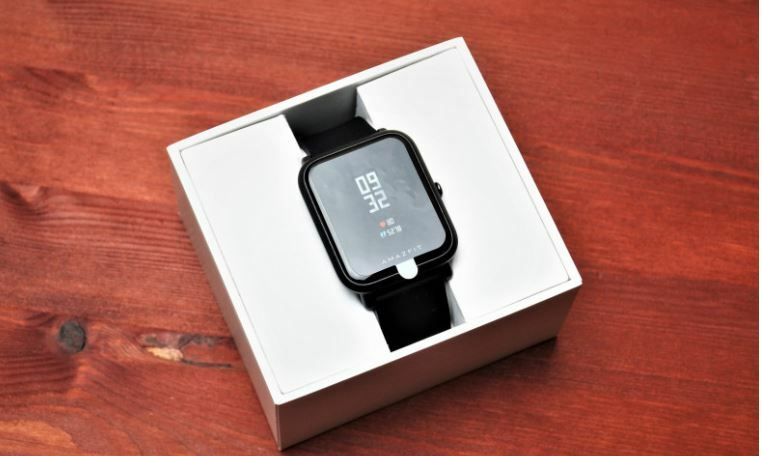 In addition to the watch itself, the packagе contains a box with a charging station and instructions. a USB output. 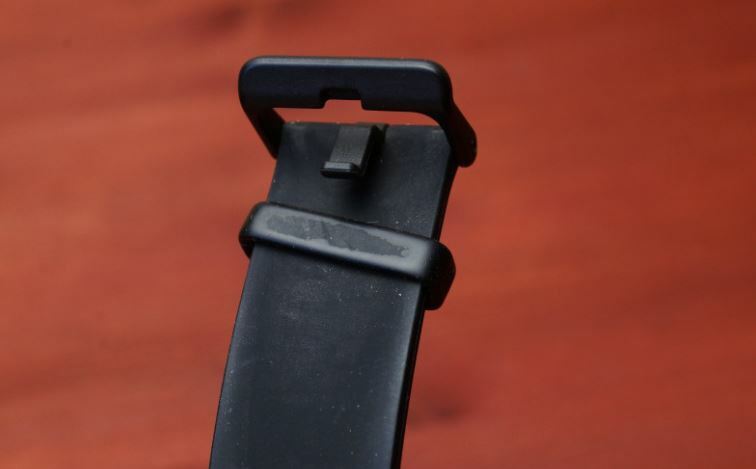 The anti-slip silicone linings are glued to the base of the watch. and taking it out of the charger. The most interesting part of the clock is its reflective touch screen. Operation principle of this display is based on a polymer film that can both reflect and transmit the light – the more light hits the matrix, the more contrast is the image. The built-in illumination is used as a light source in insufficient lighting conditions. Excellent autonomy is achieved by this type of the display, because, as you know, it is the screen that consumes the most part of the charge. Rounded Gorilla Glass 3 with an oleo phobic coating is set over the screen. The finger slides easily, the prints are erased in one fell swoop, the sensor response is very sensitive. there is a single hole necessary for the barometer operation. Let me remind you that you can safely have a shower with this watch, because they have an effective protection against moisture. different bumper to your taste. 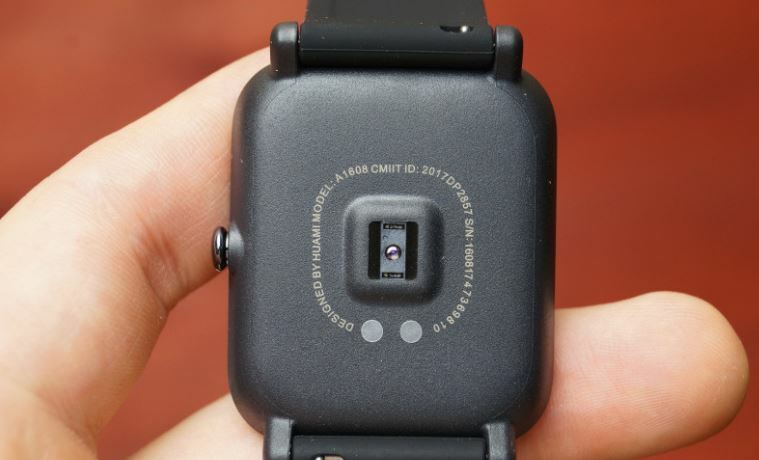 The button that activates the watch and performs other secondary functions is installed on the side. It is made of chrome-plated metal. The backlight works for 10 seconds after you press the button. On the back there is a heart rate sensor and charging contacts. 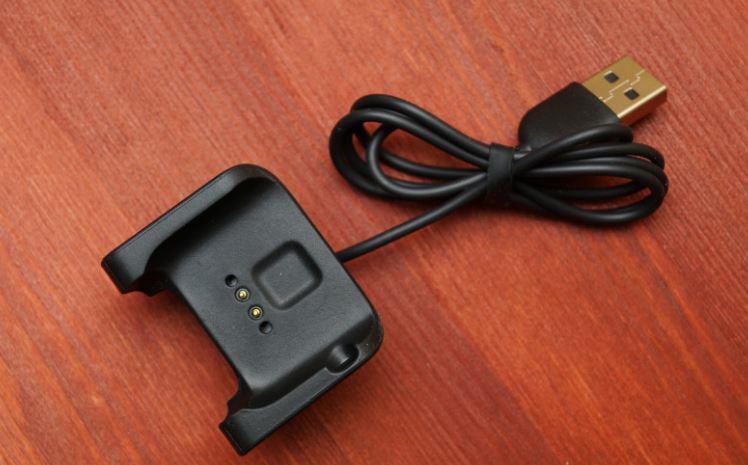 While taking the heart rate measurements, the sensor emits light pulses. Contacts are apparently made of stainless steel, because they did not rust and oxidize two months after the usage. 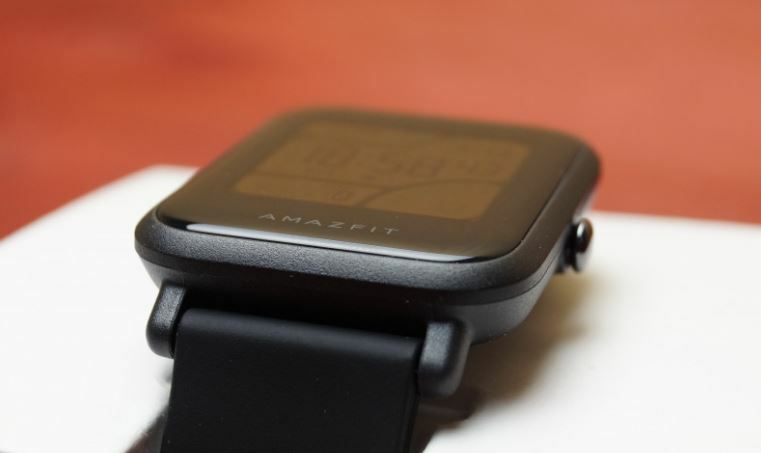 Silicone strap with a matte coating has quick-release pins. The fastener is made of plastic. The strap has both pluses and minuses. The soft, waterproof, hypoallergenic strap easily collects all dust, and your hand gets sweaty as a result of long-term wearing. Besides, the coating is being erased after a week of use. 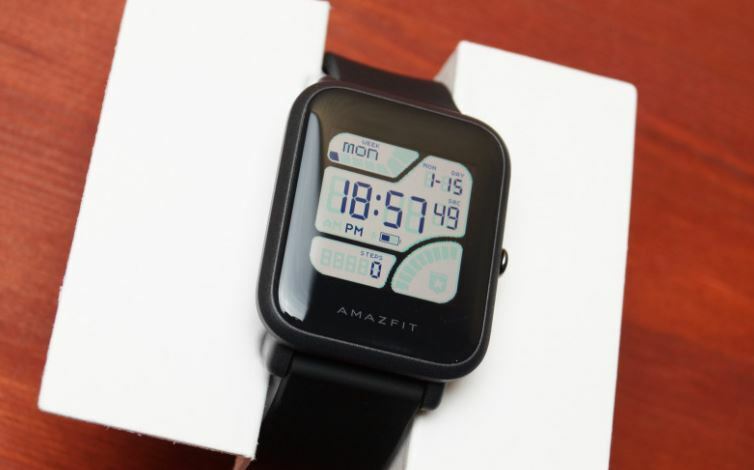 Due to the small size and relatively small weight, the watch fits well in the hand. 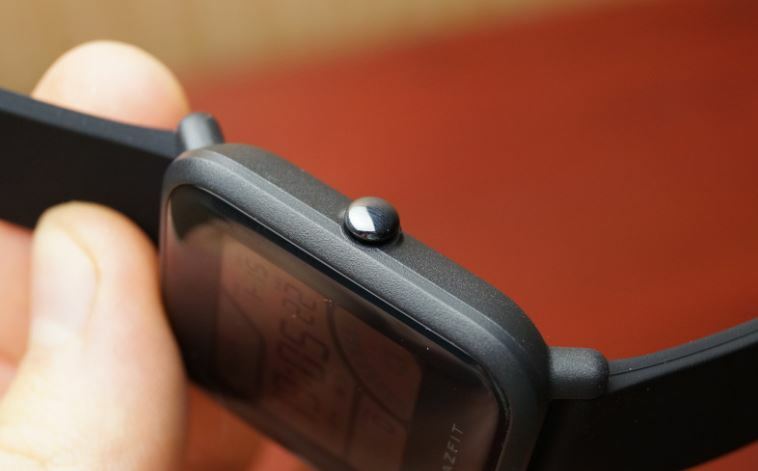 The watch does not hang out and does not strain your wrist. In my opinion, the watch looks great! applications, to change icons and to customize the watch (except for dials). You can navigate on the menu by the swipe and by the tapping. steps and activity scale. 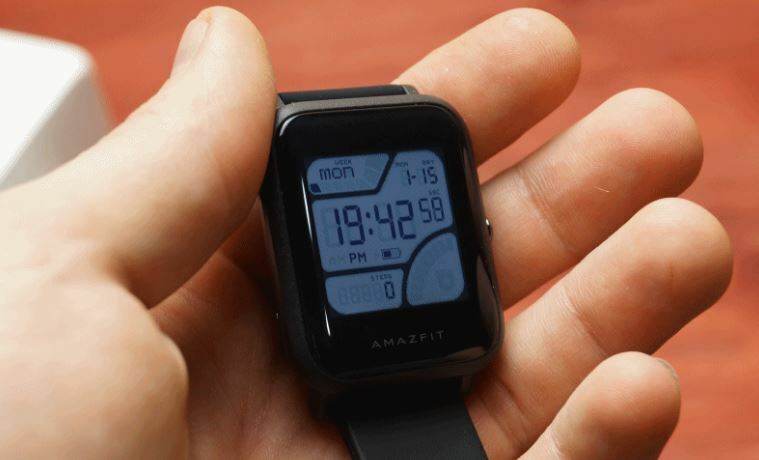 Depending on the selected watch face, the amount of the displayed information may be changed. You can swipe down to display the status panel. Here you will find the battery charge information, connection status, switch on “DO NOT DISTURB “mode. symbols (emoticons) are displayed incorrectly, question marks appear instead of them. When a call comes in, the caller’s name and the telephone number appear, you may either ignore the call or reject it. You cannot answer, because there is no microphone and speaker in the watch. The watch has 7 main menu items. You can navigate through the menu items by the swipes. The side button performs the navigation function of “back”. Let’s consider each point more in detail. The “Activity” item is divided into 6 sub-items. Here you can choose the type of training: running on the street, exercise on a running track, cycling, walking. then the process of recording the workout begins. 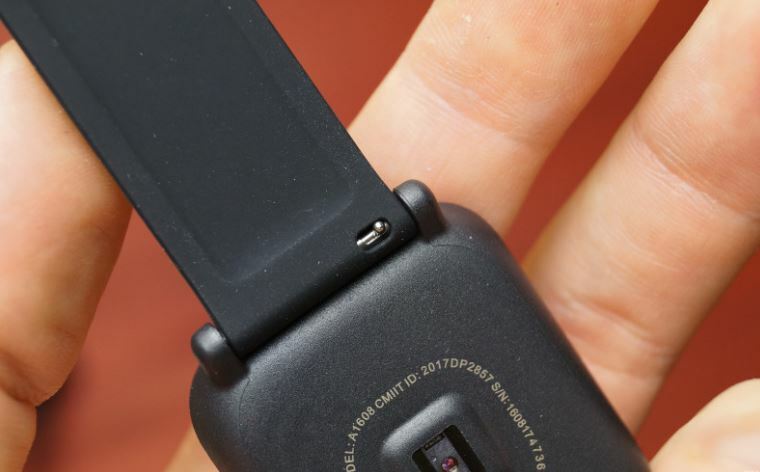 The device monitors the pulse, the speed, the time and the distance; it also controls the pace of the step, the height of the climb and the descent. All trainings are saved in the workout archive and on the smartphone after synchronization. 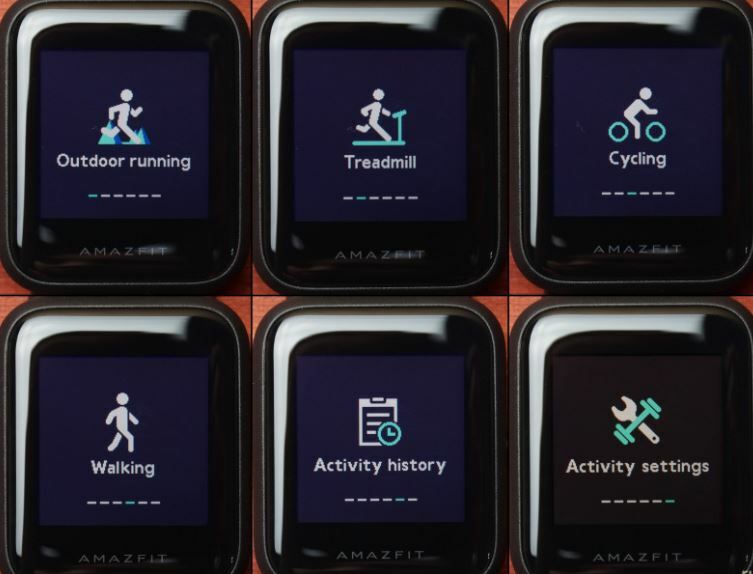 The device displays the mileage, the total time, the average speed, the heart rate, as well as information about the number of steps, the pace of the step and the length of the steps. automatically pauses when you do not move), the alarm thresholds are set. The “Weather” item shows the current weather. The minimum&the maximum temperature for one day and the forecast for the next four days are displayed. Information is downloaded through the AccuWeather service. The alarm triggering time is set via the MiFit application. You can only either to switch on or to turn on the specified setting. Vibration during the alarm triggering time is quite strong, so I usually turn on the “Do not disturb” mode before going to bed, because all kinds of notifications always wake me up. There is nothing special about the stopwatch and the countdown timer. In the background mode these applications cannot work, which causes inconvenience with frequent use. The compass must be periodically calibrated. 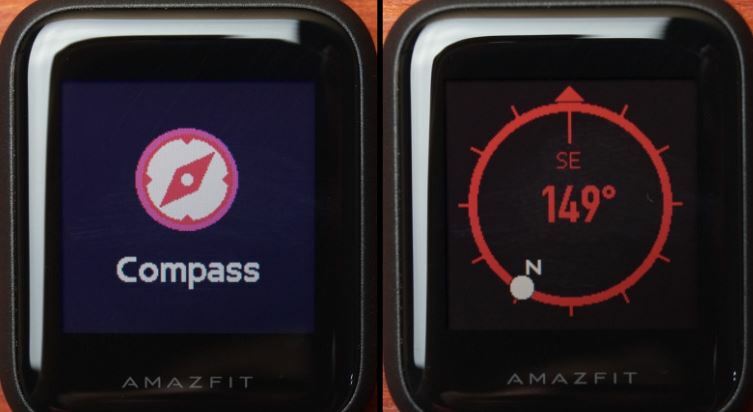 For this purpose, once the application is launched, you have to move your watch around in a figure 8 pattern in the air The compass’ accuracy is satisfactory. This watch cannot be used with a strap that has a magnetic buckle,because the compass starts to go crazy. In the general settings you can: change the dial, assign the function to the side button, adjust the brightness of the backlight, find the synchronized smartphone, see the information about the firmware and turn off the clock. 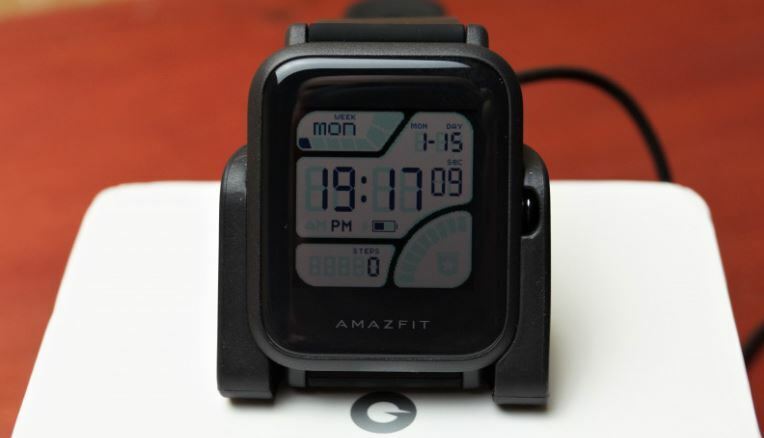 The data reset function is added in the latest firmware – the watch are cleared of all users’ settings. 10 preset dials are kept in the watch. Due to the third-party applications it is possible to install more beautiful and functional dials. 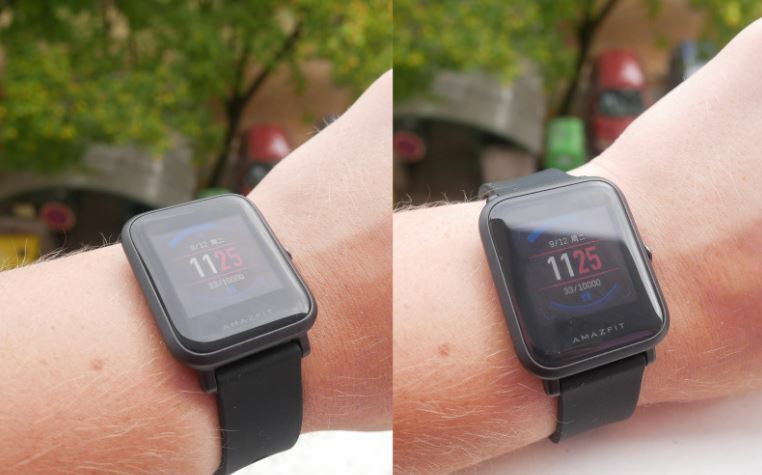 There are also third-party programs, such as Notify & amp; Fitness for Amazfit, Mi Band 2 Music Control, Tools & amp and Amazfit that allow you to extend the watch’s abilities.